And so on. You get the picture – it’s easy to think of a goal for yourself, but it’s much more difficult to follow through with it. Would you believe that only 8 percent of people who create New Year’s resolutions end up achieving them? That’s right – 8 percent. A study conducted by the University of Scranton focused specifically on these resolutions and how long they lasted throughout different time frames. After the first week, 25 percent of resolution makers already failed to achieve their goals. The numbers continued to decrease over time until 92 percent were marked in the unsuccessful category for the entire year. So what went wrong with the 92 percent? 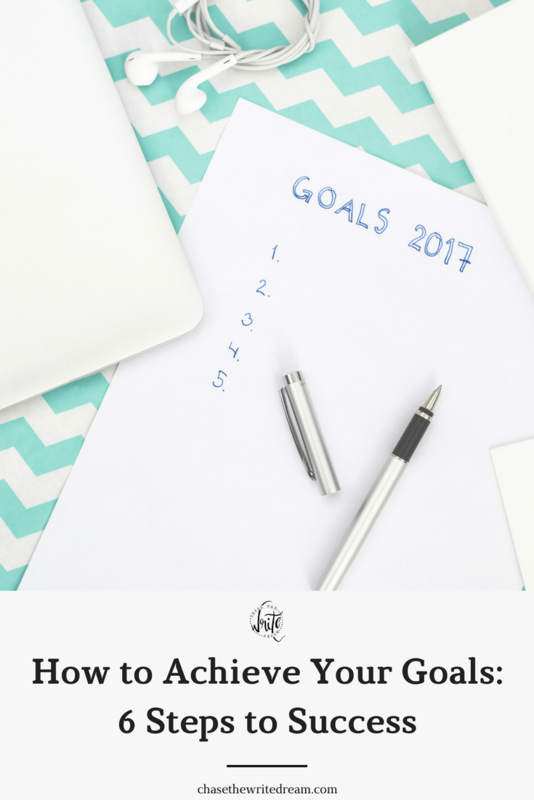 Did you know that writing down your goals, telling them to someone, and reporting to them on your progress has been shown to be a successful way to help you achieve your goals? A study conducted by Dr. Gail Matthews demonstrated that participants who completed the three steps above were 33 percent more successful with reaching their goals than those individuals who didn’t. When the results came out, group five had a 76 percent success rate of achieving their goals whereas group one only had a 43 percent success rate. It’s amazing how adding just a few extra steps to the goal setting process allowed these individuals to be that much more successful than their peers. Depending on your goal, you may need days, weeks, months, or years to achieve it. To begin, I recommend starting small and working from there. Keep in mind that detailed goals are better than generic goals! For example, if your goal is to lose 50 pounds this year, then write that as your ultimate goal, but also include smaller goals, such as losing 5 pounds in four weeks. By doing so, you will be more motivated and will have milestones to work toward. The same applies to any career goals you may want to achieve. Let’s say you want to get a promotion or a raise – you’ll probably want to take the lead on a project or build some new skills to make this happen. Write them down and keep them visible on your work desk so you stay motivated and driven! Be honest with yourself. Some goals are going to be harder than others, and that’s okay. You can either use a numerical system (i.e. 1 is easy and 5 is hard) or words (i.e. easy, moderate, hard). Depending on what your current needs and desires are, one of those goals should stand out the most. If money is a pressing concern for you, then working toward the raise may be your top priority. If you desperately need a vacation, then the last goal may be your first choice. By rating the importance of each one, you are prioritizing the tasks you will need to complete to achieve these goals. Here, you are describing what you are going to do. It doesn’t have to be anything elaborate, but having these action commitments written down helps you create an orderly plan. You’ll be more successful with achieving your goals if your action commitments are detailed and measurable. Below, you’ll see that I actually list out numerical values rather than something as simple as “walking”. After you have your commitments written down, post them somewhere visible so that you see them on a regular basis. Some good locations would be your bathroom mirror, nightstand, or refrigerator. Having an accountability partner can be a huge encouragement to you. I suggest choosing someone who you talk to on at least a weekly basis. Also, make sure you choose someone that you can be honest with, even when you had an off week or didn’t get as far along as you would have hoped. Yes, telling your friend was a good step in the right direction, but now I want you to consult with them on a weekly basis and tell them how you’re doing. Because you need to have the consistency. It is SO easy to get discouraged when you have a down week, and that can lead into another off week, and another, and another. In order to avoid getting caught in that loophole, you need to report your progress to your chosen friend on a weekly basis. It’s okay if you had an off week! Be honest with yourself and get back on track for the next one. Maybe your friend will even be able to provide a few pointers or words of encouragement to help you along the way! As I said before, life is going to do everything it can to get in the way of you achieving your goals, but don’t let it! When you wake up in the morning, tell yourself that you are capable of being successful. If it helps, write down some daily progress notes so that you can look back at them when you are feeling unmotivated or discouraged. The choice is yours – are you going to chase your dreams or let another opportunity slip on by? Do you have a goal you would like to share? Please feel free to do so in the comments section!